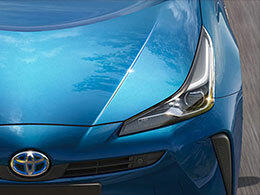 02 Exterior design The Prius has always sported a futuristic design, and the latest iteration is no exception. With its sharp, sporty aesthetic, it demands attention out on the road, while a host of styling cues increase its aerodynamic efficiency. A curved bonnet and low roofline minimise air resistance to deliver improved economy, and prominent bumper creases and a squared rear end streamline the design further. The overall look is brought up to date with shapely LED rear lights and 15-inch alloy wheels that complement the striking range of paint colours available. 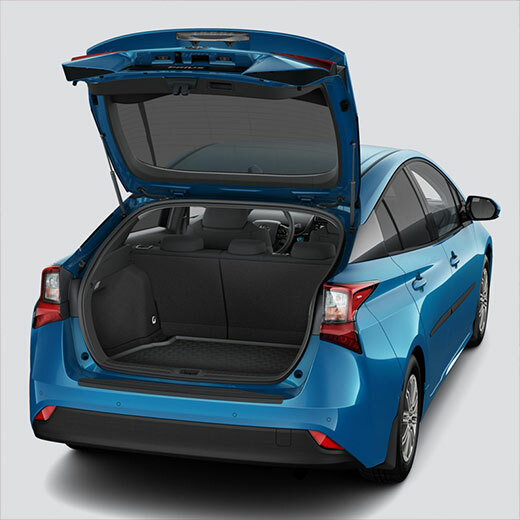 05 Safety & technology With so much innovation under the bonnet, you’d be forgiven for thinking the Toyota Prius may have overlooked technology in the cabin. 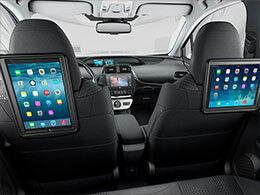 But it comes with a fantastic array of kit as standard, enhancing your drive in every way. 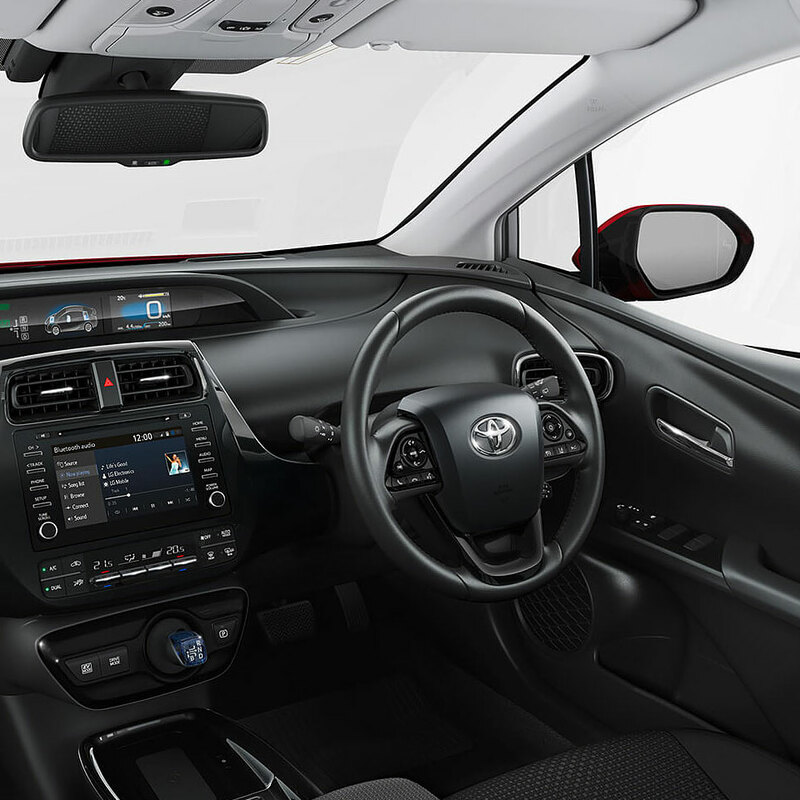 Automatic headlights and a reversing camera, for example, enhance the convenience of your journeys and make parking simpler, while the Toyota Touch 2 multimedia system with its seven-inch touchscreen gives you instant access to all your favourite music, the vehicle’s settings and more. When it comes to safety, you’re well covered too. 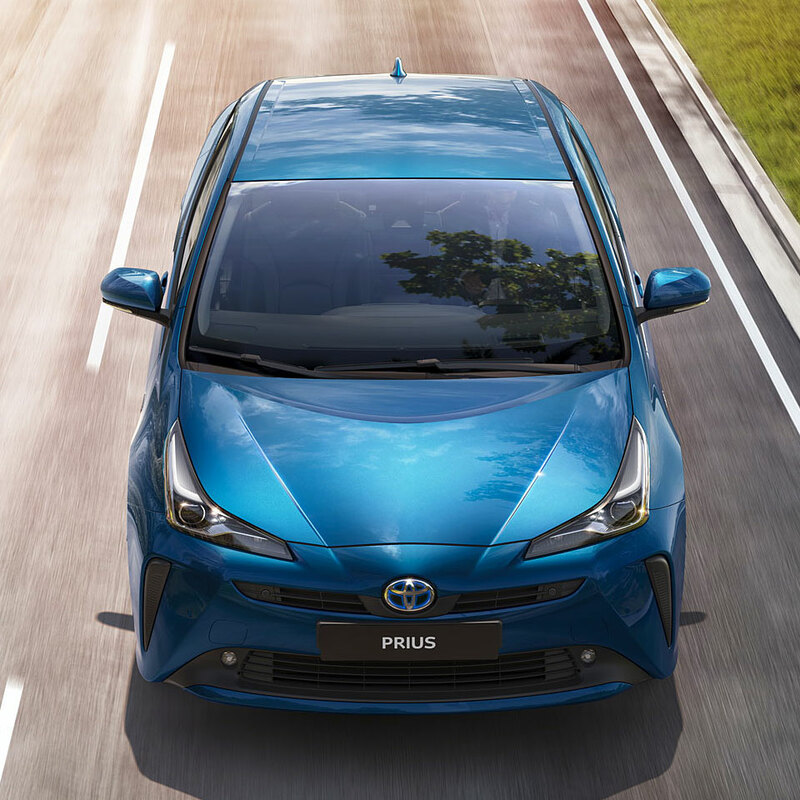 Toyota Safety Sense combines a host of systems to deliver the very best in driver, passenger and pedestrian protection. Automatic High Beam optimises visibility at night without dazzling oncoming drivers, while the Pre-Collision System detects pedestrians or cyclists in your path and alerts you to their presence. Should you fail to react, the brakes are automatically applied to prevent a collision. With Adaptive Cruise Control and Road Sign Assist supporting you too, you can take to the road with peace of mind every time. 08 Contact us Get in touch with the sales team at Yeomans today for more information on our new Honda range. We can book you in for a test drive in the new Civic and arrange a flexible finance plan that caters to your budget. Call us now or enquire online.